Our Deluxe Maintenance kit will include 1 each of the Shuffleboard Cleaner/Polish, Shuffleboard Wax, and Shuffleboard Silicone Spray. 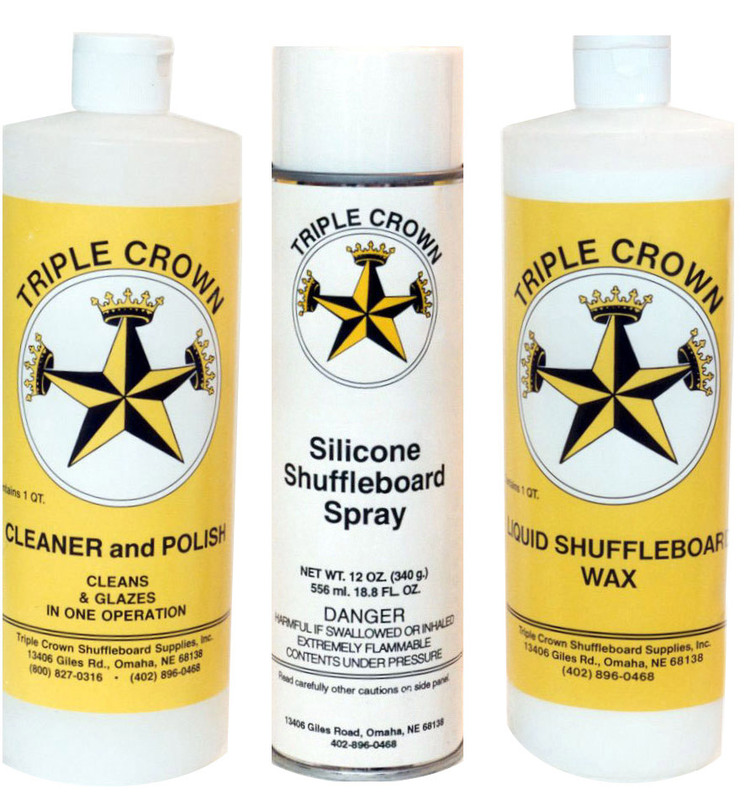 Keep your shuffleboard's playing surface in top shape! Apply Triple Crown Liquid wax and then buff. Spray Triple Crown Silicone spray and let set for 15 minutes. Twice weekly, use Triple Crown Glaze/Cleaner and Polisher. Buff, then let set for 10 minutes. Lightly spray Triple Crown Silicone Spray. Apply Triple Crown Powdered Speed Wax.